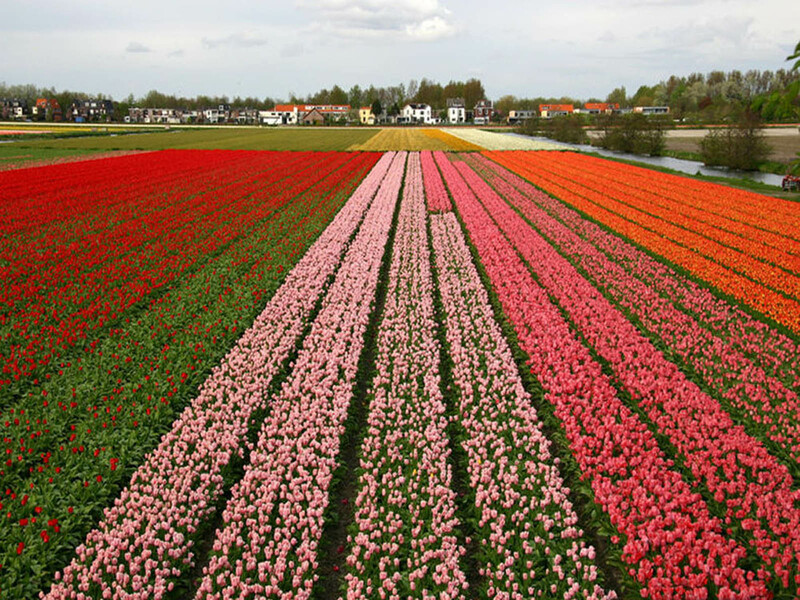 For you who love flowers a great travel itinerary is to get to know the fields of flowers in Holland, since the beginning of March until the end of May it is possible to see the flourishing of various species of flowers produced there, among them the tulip, the national symbol of the Netherlands, but that is not a flower native to the region. 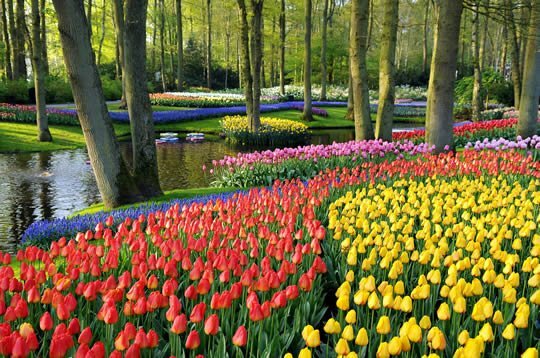 Imported from Turkey, tulips were brought in by the botanist Conrad Von Gesner to the netherlands around 1560 and turned into a fever the national after the publication of Carolus Clusius about the tulips in 1592. 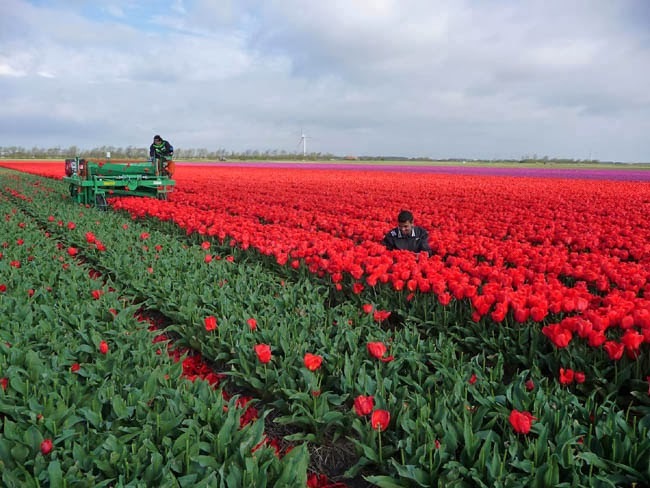 There was a time in which the bulbs of the flowers they were worth the price of gold, reaching the 4th position in the national economy of the country when by the turn of the century. 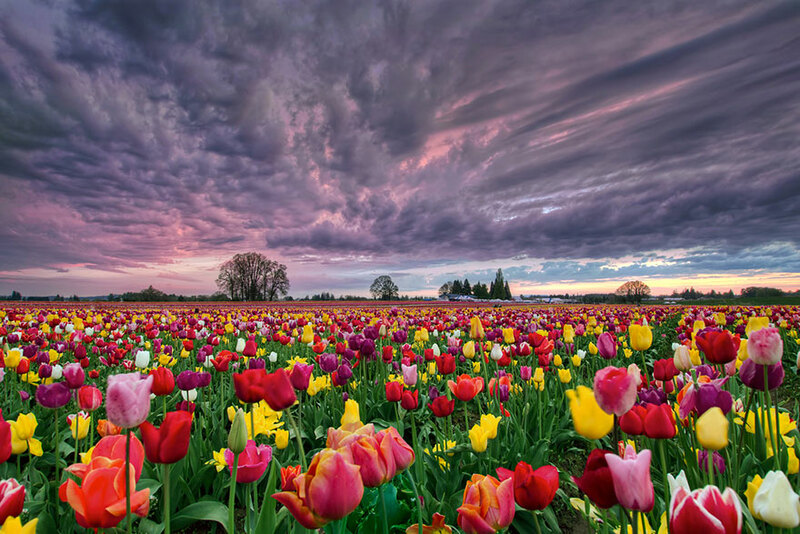 CENTURY burst the economic bubble called “tulipomania”. 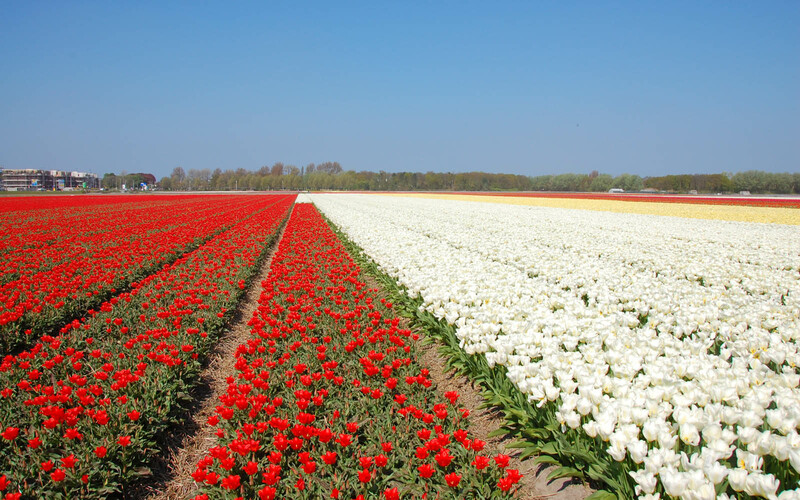 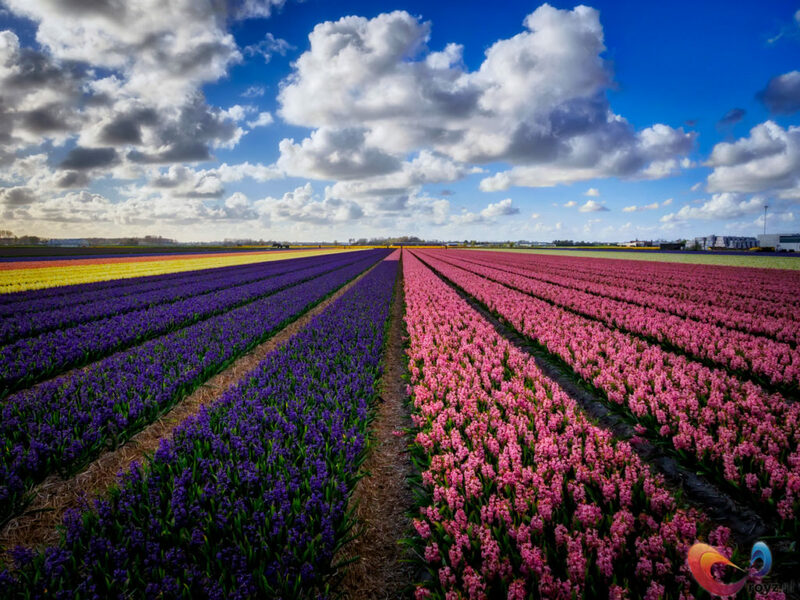 Even causing an uproar in financial country, the Netherlands continued to produce several varieties of tulips and other flower species, being now known as the “Flowers of the World” for having a flower production on a large scale. 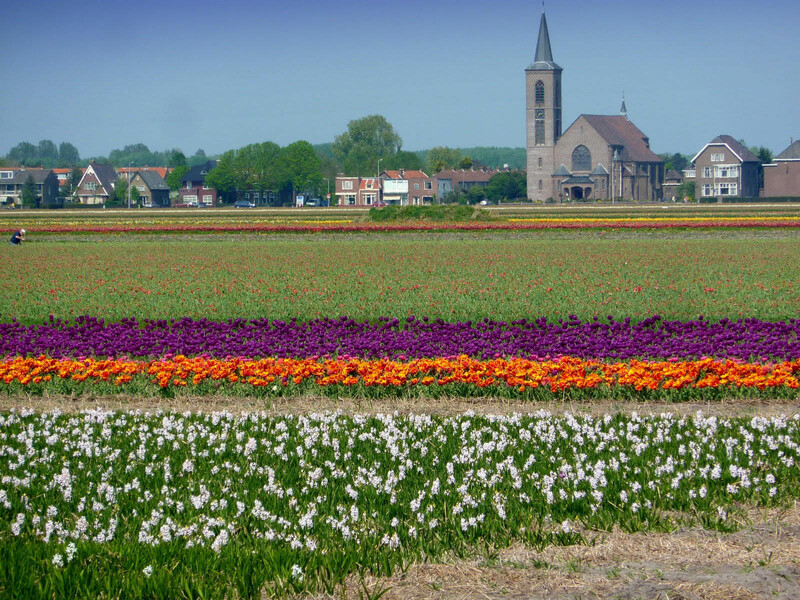 Today are celebrated many festivals in honor of ace tulips in all the world, the most famous, of course, are in the Netherlands in the Noordoostpolder is made annually to the Countus Tulpenfestival between the months of April and May. 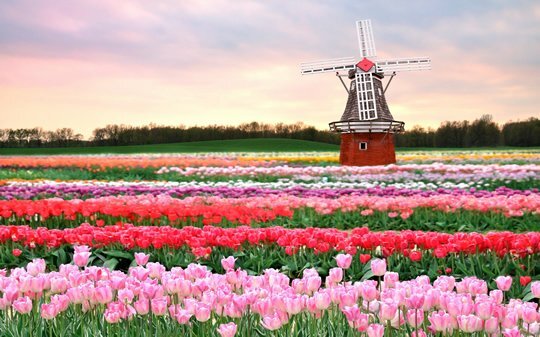 Another ride not to miss is the park Keukenhef in Lisse, with more than 32 acres of colorful flowers. 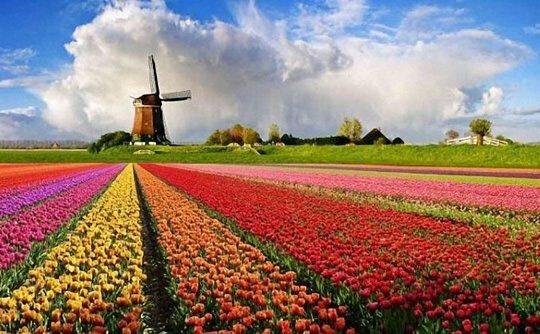 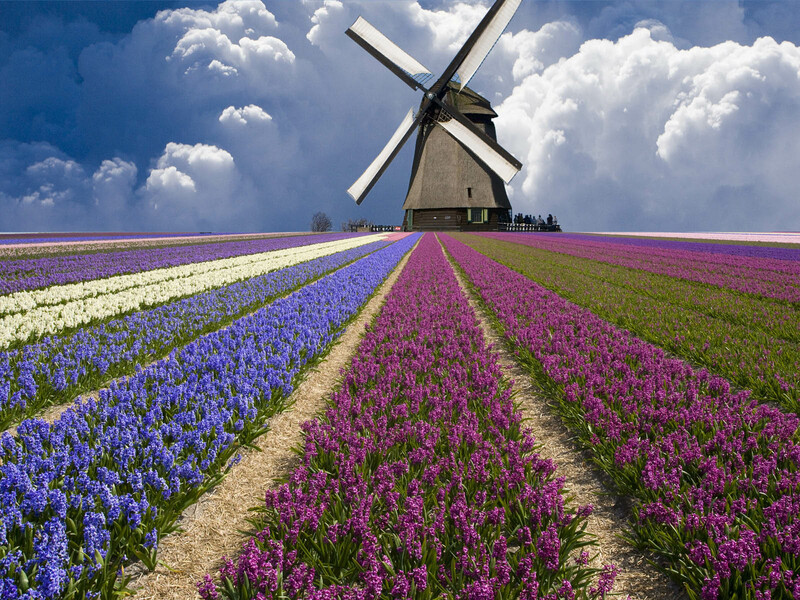 In addition to the wonderful fields of flowers, Holland is the land of windmills, porcelain, the great painters and thinkers, in addition to being famous for its beers. 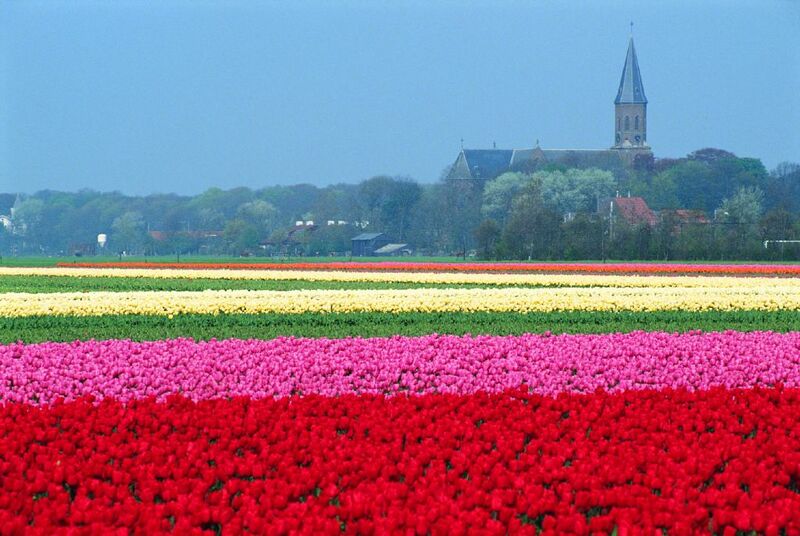 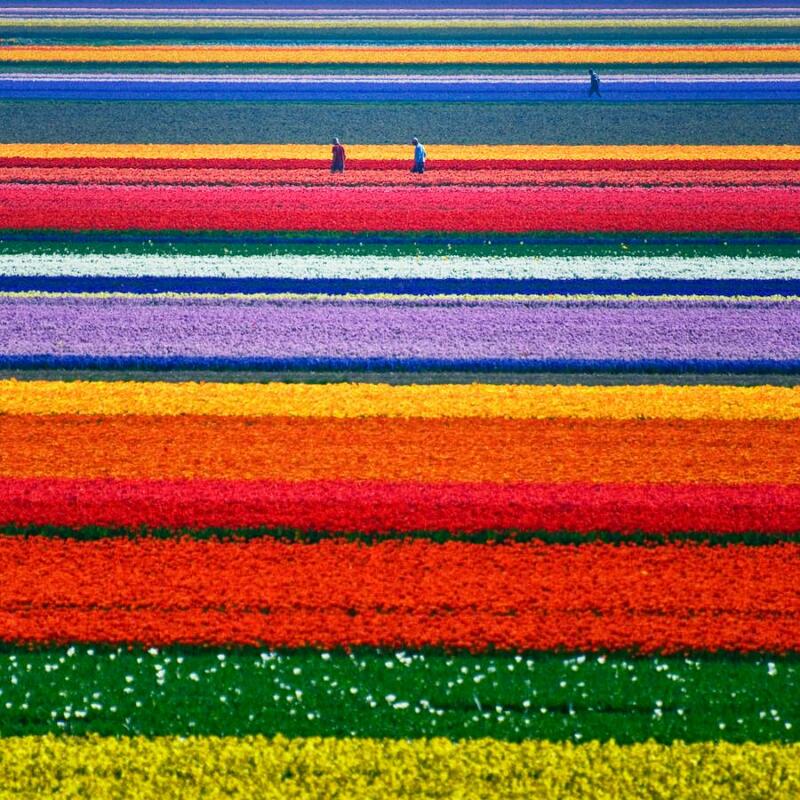 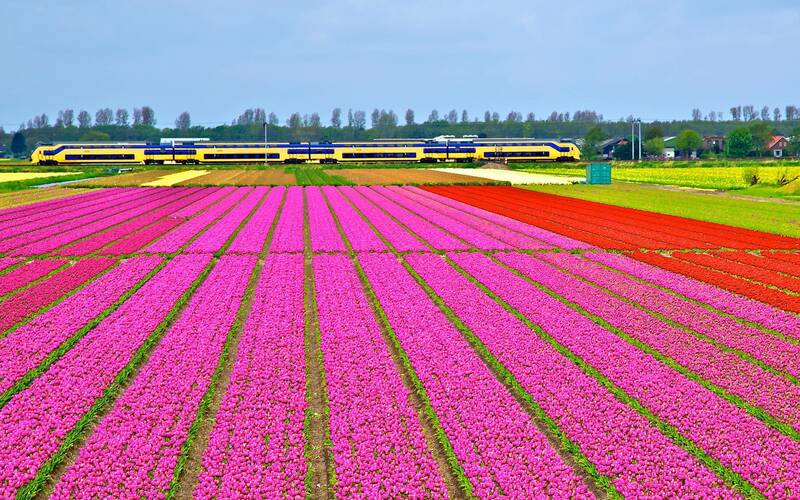 Check out the following photo gallery of the flower fields of the Netherlands!